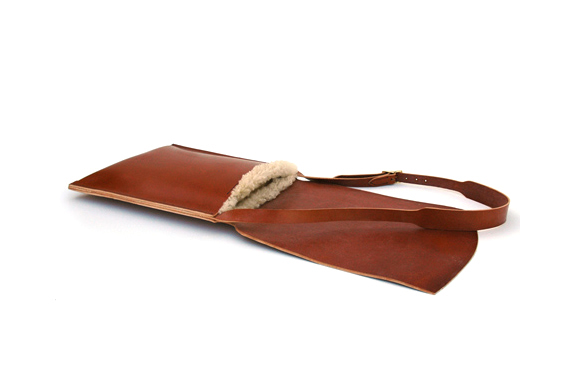 This award winning laptop bag is a bridle leather construction with real sheepskin lining. 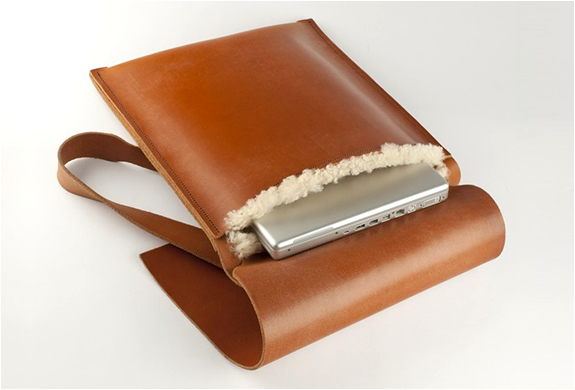 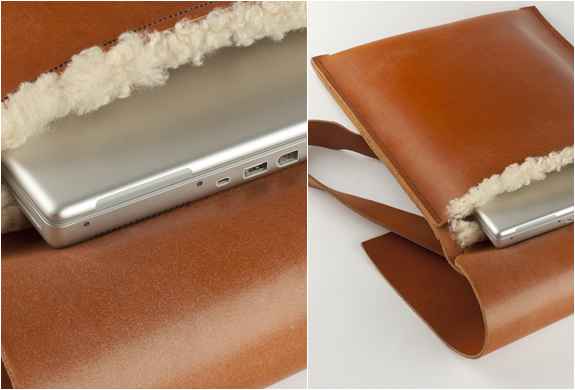 A luxurious way to transport your laptop while on the go, available to fit three sizes, 13", 15" and 17". 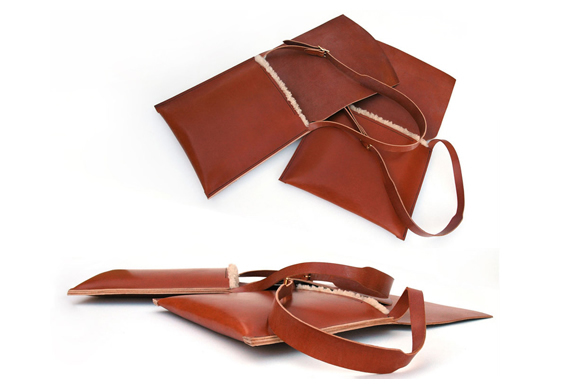 Made in landscape or portrait styles, the leather looks fabulous as it matures and the bags will last forever.